Delayed or canceled procedures leave operating rooms (ORs) underutilized, representing a direct impact on your bottom line. Cancellation rates can reach in excess of 40% and research has shown that a significant proportion of them are preventable . Lumeon enables providers to design and proactively manage a digital pre-surgical plan of care to tackle the avoidable issues behind delays and cancellations. Leveraging intelligent orchestration and automation, providers can coordinate care team activity leading up to surgery, ensuring that the patient is optimally engaged and prepared. With the CPM platform you can deploy and manage an automated pre-operative process which adapts to the patient’s risks, co-morbidities, preferences and other circumstances. It ensures the right tests are ordered and conducted within specific timescales and that patients are prepared appropriately. Low-risk individuals can be fast-tracked using automation, while the platform can direct more resource to higher-risk individuals, for example by tasking care teams to perform additional monitoring calls to coach and reassure patients in the run-up to surgery. Timers, escalation actions and auto-chasing of PCPs, referring surgeons etc. Make proven best-practice part of your digital process. 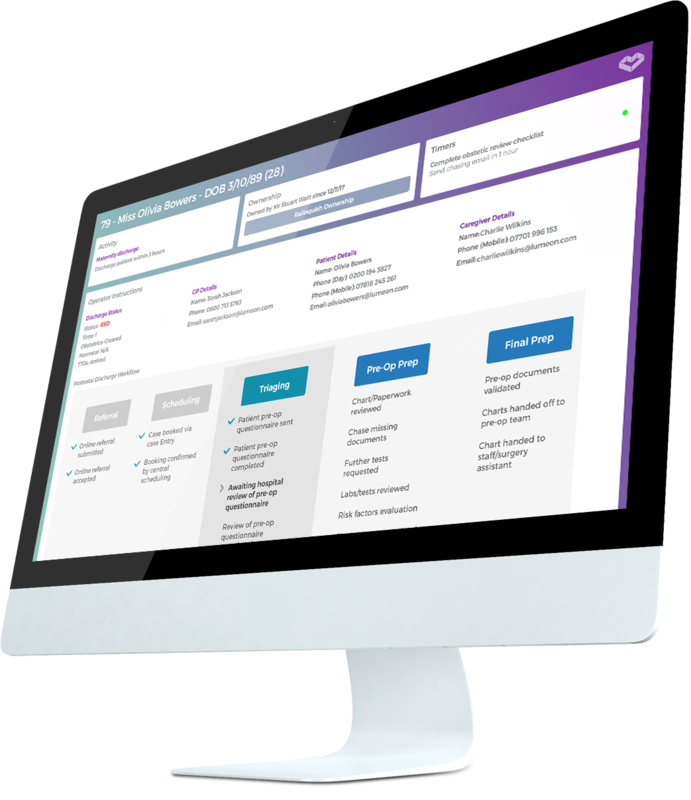 Use our process templates or those from industry leading bodies and implement them into your care teams’ everyday activity, making them more efficient and aligned, and helping them achieve better outcomes. Virtualize care tasks for low-risk patients with minimal testing requirements and monitor them using automated communication and surveys. Assign more resource and higher frequency of pre-op engagement to high-risk individuals or those with low compliance scores. Dynamically adjust processes and communication channels according to clinical requirements and patient preference. Assign patients to personal coaching programs e.g. weight loss or opioid usage tapering.